You see a map that displays territory of Russia. actual map of Bogorodsk calibrated displayed. actual map of Gorbatovka calibrated for Garmin. free map of Burevestnik for you. interesting map of Babino и OziExplorer calibration free download. detailed map of Gavrilovka calibrated this. actual map of Yur'yevets with gps calibration for gps. map of Yefim'yevo this. interesting map of Vysokovo for Garmin. 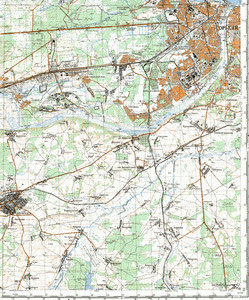 detailed map of Vypolzovo 1 cm to 1 km presented. map of Vyazovka for Garmin. free map of Velikosel'yevo и OziExplorer calibration this. map of Sysoyevka calibrated download for free. free map of Spirino presented. interesting map of Shumilovo with gps calibration for Garmin. map of Shapkino this. interesting map of Sartakovo 1 cm to 1 km for Garmin. interesting map of Ol'gino for Garmin.